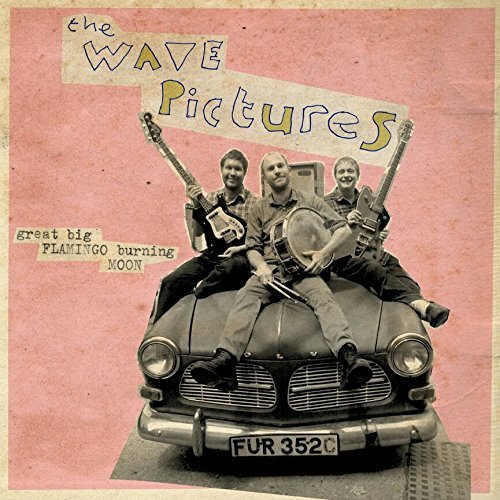 The Wave Pictures are quite a busy band - in fact, hideously prolific. With a total of 13 albums already in the tank, they have committed tp prosterity another hearty collection of songs for their latest long-player, Great Big Flamingo Burning Moon. Still burning brightly, they have a clever knack of taking their acerbic wit and charm and mixing it together with indie-pop, rock zap, and kitchen-sink melancholy. This album, however, has a slightly different twist, as the band have collaborated with Billy Childish both in writing and recording, as well as using his equipment throughout the process. From the open bars of the title track, you sense the band are inspired by their hero, Childish, who it seems is for the time being an unofficial fourth member of the Wave Pictures, as David Tattersall’s is seemingly bugged-out on an endless trail of effervescent energy. On ‘I Could Hear the Telephone’, Tattersall’s delivery sits somewhere between David McComb of Australian band The Triffids and the bookish curt of Lloyd Cole set with charming lyrical nonsense: “I was in the sleeping bag on the hall floor at the Pattinsons/ I could hear the telephone three floors above me”. The rest of the band serves up a buoyant brew of bounce, vigour and joy, with Tattersall even throws out a sharp solo for good measure. “The leopards roll and wrestle on the tiny television,” says Tattersall on ‘Katie’ as he continues to delve into lyrical madness, but his eccentricity creates a warming feeling as you delve further into the album with the band at ease switching to a sleazy blues jaunt on ‘Green River’, which has a beautiful, sloth-like harmonica. It demonstrates the band’s repertoire in much greater detail and showcases their ability to mix up their musical styles and abilities. There is a theme that runs through the album to almost obsessive levels: the mention of as many animals as possible, personified on the opening lines of ‘The Fire Alarm’ with a mention of a caterpillar this time. But it’s all a crazy front again, as the loopy writing continues: “The roof of my mouth is in the street”, “The fire alarm went off again”. None of it makes much sense but then again it does - if that makes any sense, eh? They end with ‘Pea Green Coat’. “Everyone in the station wore black/ and then there was you in your pea green coat,” barks Tattersall, all set to a tempestuous and stomp along beat and fractured harmonica. Great Big Flamingo Burning Moon is a great listen from start to finish. The constant changing of styles, idiosyncratic arrangements and quirky lyrics have a burgeoning quality unusual in modern indie guitar bands. 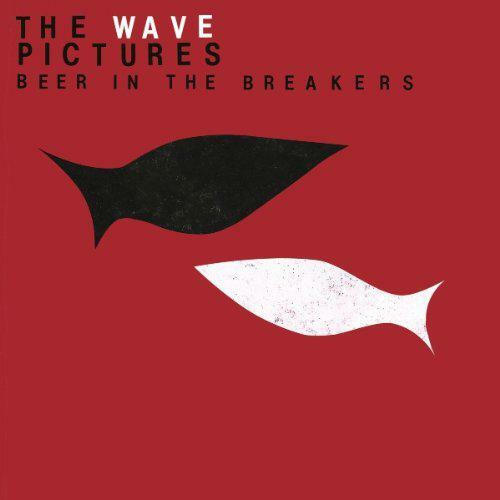 This could just be the album that takes The Wave Pictures to that most deserved next level. Great review as usual! They were bloody awesome last night!